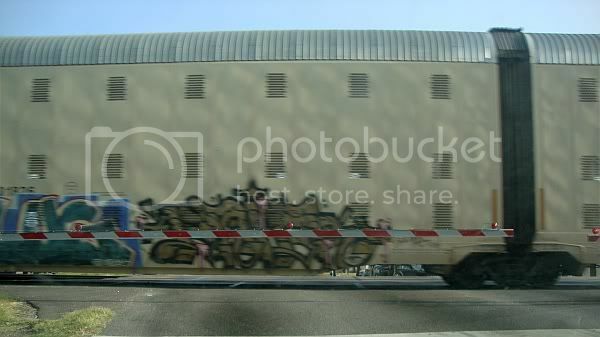 I was driving on my way to the Lawndale Big Show opening festivities and got caught at a railroad crossing. 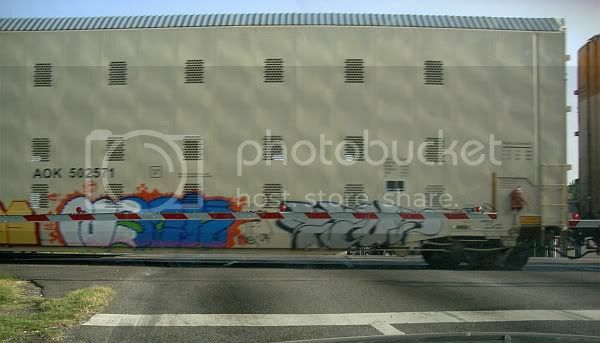 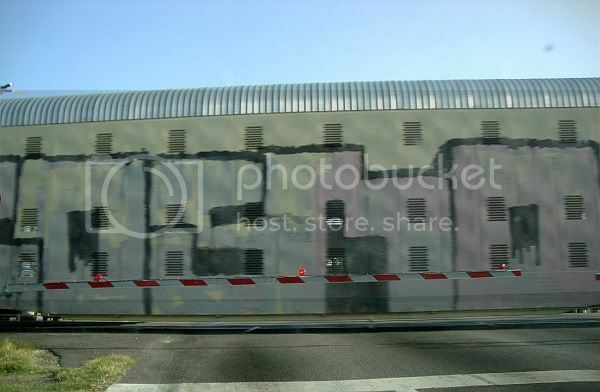 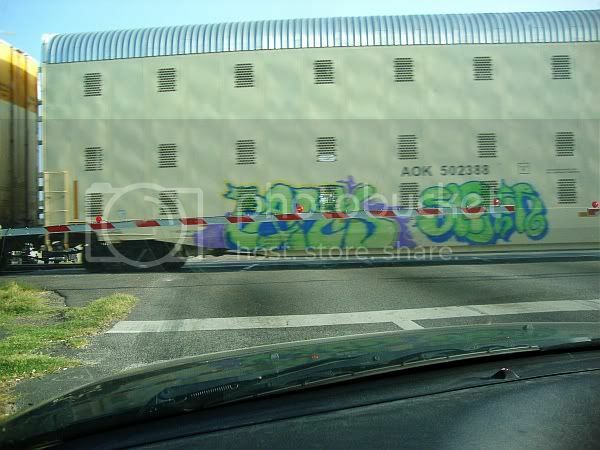 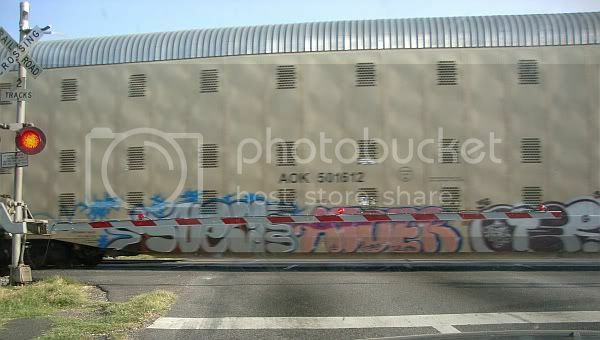 That's where I saw these paintings (artists unknown, enamel spray paint on steel rolling stock). 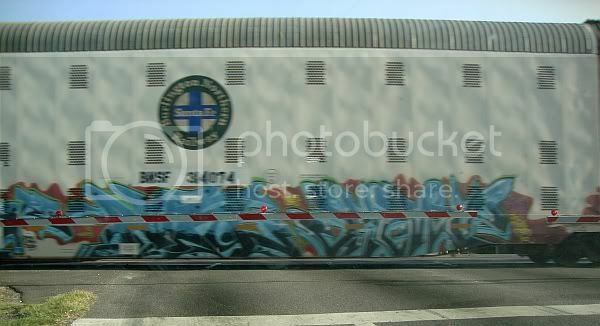 I was lucky to have my camera handy.